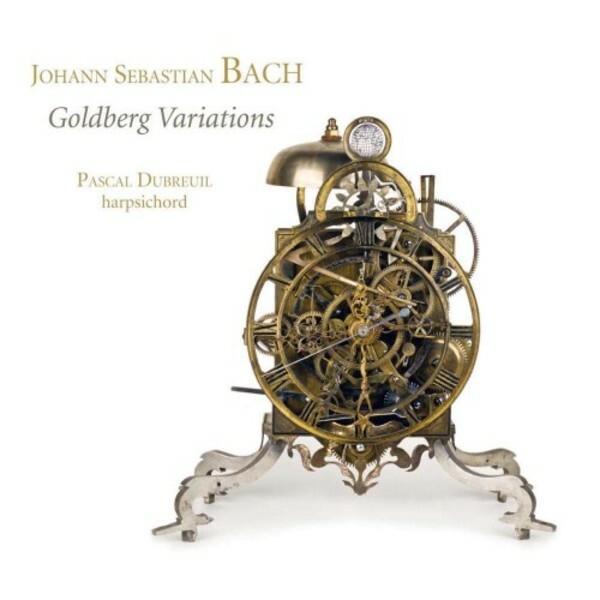 The Goldberg Variations followed the first three parts of Johann Sebastian Bach’s Clavier-Übung. The title page presents the work as a ‘Keyboard exercise consisting of an Aria with diverse variations for harpsichord with two manuals...’ Forkel, in his biography of the composer, relates that these variations were composed at the request of the Count von Keyserlingk so that his harpsichordist, Johann Gottlieb Goldberg, might play a few of them during the insomnias that often disturbed the Count’s nights. But no concrete element has come down to us to verify Forkel’s remarks. The exceptional virtuosity required by this work also leads one to think that it was perhaps a sort of response to Domenico Scarlatti’s publication of 30 of his Essercizi in 1738, which also exploit, but to a lesser degree, aspects of keyboard technique not yet in common use at the time. These technical aspects as well as the sublime eloquence, the genius of the counterpoint and the inexhaustible variety of the variations combine to make this one of the summits of the genre. With his captivating interpretation, Pascal Dubreuil completes the release of the four parts of the Clavier-Übung for Ramée (CÜ1: RAM0804, CÜ2: RAM1002, CÜ3: RAM1305).